How to get an affiliate advantage over others trying to offer the same product. Affiliate marketing is a competitive game. This is something not often stressed by the experts and gurus although it seems patently obvious to the newbies. A lot of affiliates are trying to sell the same products, very often to the same people (if you’ve grown your email list via solo ads, the same people end up on a lot of lists), so how can one affiliate rise above the rest and make himself heard above the noise being made by all the other ‘me too’ people? There are all sorts of tricks to try to be different to the rest. There’s the intrigue method – I’m not actually going to tell you which product I’m promoting, but I’ll try to drop some inside knowledge and get you to ask for more. Very often used on Facebook (“type info to discover more”). How about the tell you almost everything method – I’ll tell you more about the product than the sales page does, almost to the point where you don’t have to buy it, but I’ll leave out the vital bits. A usual newbie trick that often upsets the vendors. The you already trust me method – I’ve sold you some stuff before and you haven’t told me you didn’t like it, so you must like it, therefore you’ll buy from me again. Takes a bit of time and the trust isn’t always there. These methods all work a bit, but there is one method that is proven to work very well, doesn’t depend on trust since it screams it out already, but can be abused to the point of near terminal stupidity. Something that is used quite a lot, especially by the bigger-name marketers who (mostly) do it properly to really gain the affiliate advantage over the newer guys. Shall I tell you now? It’s actually quite a simple method, at least when stated up-front. There are some though who do it quite badly and there are a few who over-do it for all the wrong reasons. Yup. The bonus method. Provide 1 to 6 bonuses that enhance the product for sale or fill in a gap in the training or just add an additional set of thoughts into the main event. A well thought-out bonus will do any or all of the above. A bad bonus could be any old crap that was lying to hand when the affiliate link was granted. An extreme example would be you’ve just bought a Facebook marketing method and the bonus offered is an ebook on fishing. A course on Instagram would have been better. A short course on tips for Facebook ads or using groups would be best, especially if these methods were not mentioned in the main product. Another extreme example (but a real-life one though) is offering too much. One affiliate offered (a claimed) $250,000 worth of products as a bonus for a $7 front-end offer. If you offer too much in quantity the poor buyer just gets swamped and will probably fail to do anything with any of it. Main offer included. The right amount seems to be around 3-5 bonus items that are at least mostly congruent with the front-end product. Many marketers are now adding their own self-created bonuses. A 15-30 minute video commentary of them using the product and/or showing their results. Case studies like this are a very good bonus as they show the product already working for someone else. 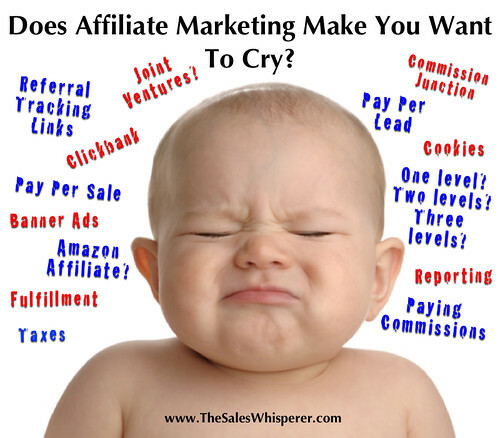 There are several other ways of gaining an Affiliate Advantage and you can find them in my training of the same name. Click the button below to get hold of this free offer.